i use wise care 365 v3.98 and in german language shows me the wrong temperature skala with Fahrenheit. i mean in whole europe there are not Fahrenheit for temperature but rather Grad Celsius! i dont know what 83 °F is --> in ° C? =33? 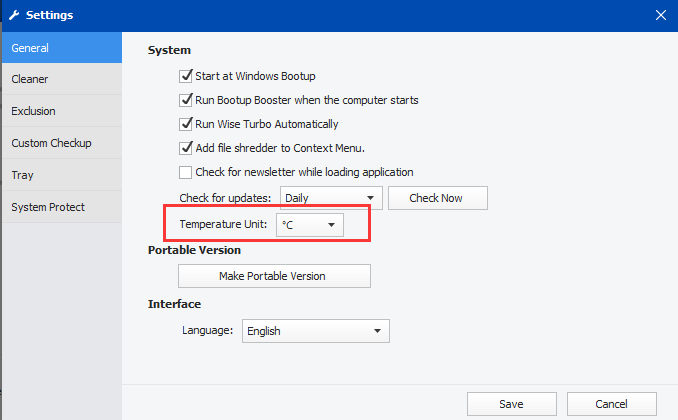 You can change it in menu-settings-general-temperature unit. 33% is the RAM usage. You can change it in settings, see the below screenshot. 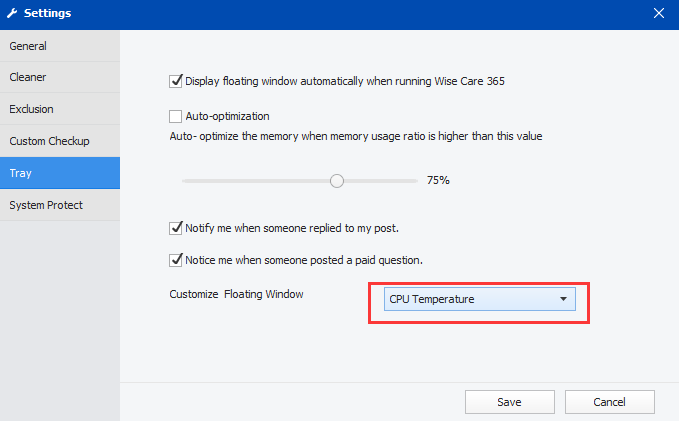 If you don't want to display temperature, you can choose to display CPU usage.